Proms used to be so simple: Girls wore dresses and boys wore tuxes and homosexuals cowered in the corner somewhere and hoped no one discovered their dirty secrets. But now that an openly gay student wants to wear a tuxedo to her prom, her school has had quite enough. Either she comes in a dress or there’s no prom for anyone. 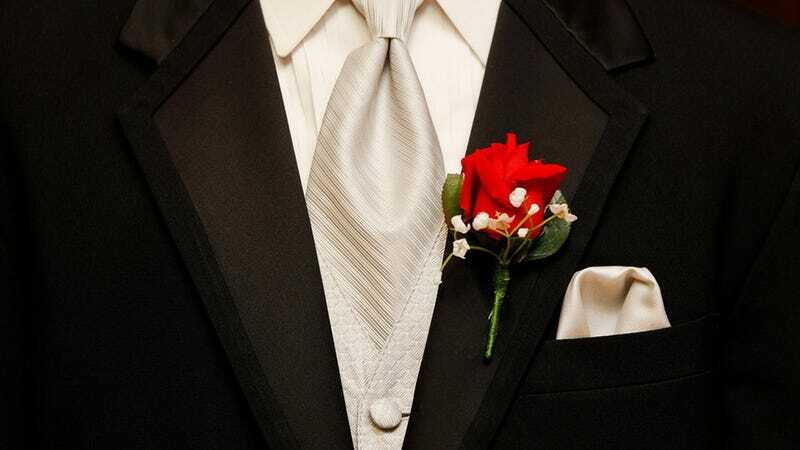 While the faculty of Carroll High School in Monroe Louisiana didn’t explicitly tell Claudetteia Love that prom would be canceled if she wore a suit instead of a traditional dress to the dance, the principal, Patrick Taylor, told the honors student that if she were to show up in clothing meant only for men (always and forever) that faculty would “refuse to work the prom.” And because the prom is really a time for faculty to celebrate and unwind with some spiked punch, the principal said there was really nothing he could do. Discrimination, you know, it’s hard to fight, so why bother? Better to just sit down and just shake your head about how backwards some people are. But what’s even more fucked up than telling an openly gay teen to dress right or get out is that Love has always been someone the school has held up as a shining achievement of academic excellence. They were proud of her when she was getting all As, but quick to deny her any rights when she dared step out of line. “I told my mom, ‘They’re using me. They put me in all these honors and advanced placement classes so I can take all of these tests and get good grades and better the school, but when it’s time for me to celebrate the fact that I’ve accomplished what I need to accomplish and I’m about to graduate, they don’t want to let me do it, the way I want to,’” she said. The principal told Love that it wasn’t anything personal and that dress codes were dress codes. Except this isn’t really a dress code issue. If boys are allowed to wear tuxes, so should girls, and if boys wanted to wear dresses? Well then, they should do that, too. Why exactly would faculty refuse to work a dance for such a reason and why would the principal put up with this kind of discrimination? Love says that she isn’t just making a statement for herself but for other students who might be in her situation. The school has not yet reversed the decision, but the news of their dress code caught the attention of Rodney McFarland, the school board president. He’s now personally checking into the matter and plans to meet with the principal to discuss whether the policy that’s being touted as impervious to change is even a policy at all.